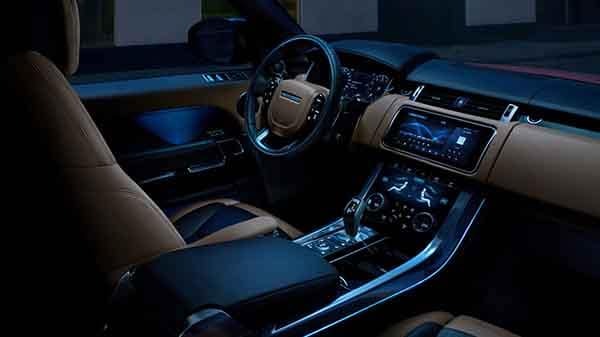 Here are just a few of the adjectives that critics are using in their 2018 Land Rover Range Rover Sport reviews: “striking,” “opulent,” “sumptuous,” and “refined.” Explore the critical opinions in depth, and plan to visit Land Rover Princeton to tour the interior and test drive our extensive inventory. "The Sport retains a bit more of that square-shouldered stolidity that has traditionally endeared us to Land Rover products." "The 2018 Land Rover Range Rover Sport seems to do it all. The luxury SUV is opulent, comfortable, good looking, tremendously capable, and remarkably quick—almost unbelievably quick in top models." "Power comes from strong supercharged V6 or V8 engines mated to an eight-speed automatic. The Sport delivers an engaging driving experience, with taut, agile handling." "Perhaps Land Rover’s most versatile vehicle, the Range Rover Sport represents an appealing combination of value (relatively speaking), off-roading capability, on-road performance, and head-turning style." The standard 3.0L supercharged engine gets 340 hp, a turbocharged diesel engine achieves impressive efficiency, and a high-performance variant gets up to 575 hp. The all-new infotainment system utilizes a pair of 10-inch screens mounted on the center console that are powered by a faster processor than in past models. There are up to 14 different places within the cabin to charge up power accessories like phones, tablets, and laptops. There is over 60.0 cubic feet of overall cargo space, and drivers who need extra seats have the option to add a third row. Versions like the HSE trim may be new and advanced, but they are a natural extension of the legendary Land Rover History. As you consider what trim or model is right for you, consider your lease and loan options as well. When you’re ready to learn more about the Land Rover Range Rover Sport mpg and MSRP, feel free to contact Land Rover Princeton to work directly with one of our in-house experts.